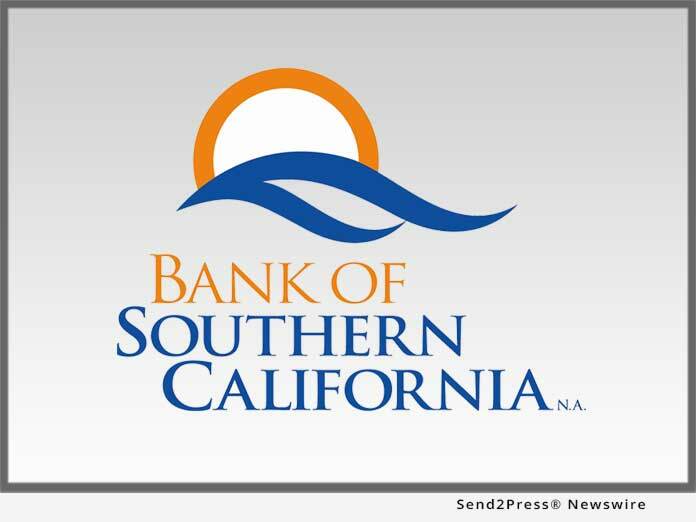 SAN DIEGO and LOS ANGELES, Calif., Dec. 3, 2018 (SEND2PRESS NEWSWIRE) — Bank of Southern California, N.A. (OTC Pink: BCAL), a community business bank headquartered in San Diego, Calif., is pleased to announce its continued expansion in Los Angeles with the opening of a new production office in West Los Angeles. "The opening of this production office further expands our network and presence in the region, providing us with the opportunity to meet the growing demand of businesses throughout Los Angeles County," said Nathan Rogge, CEO.